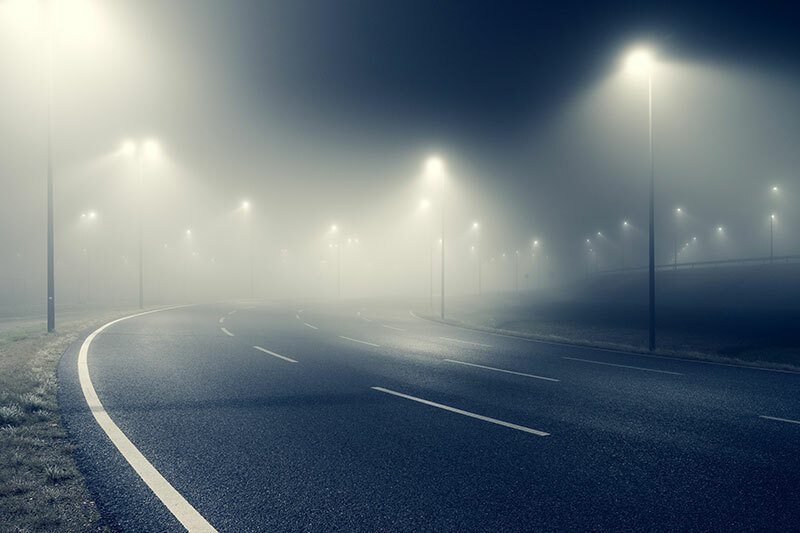 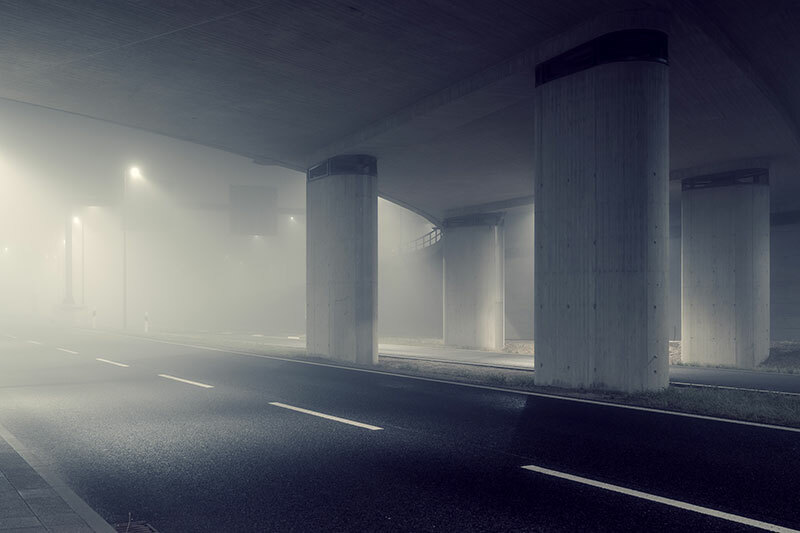 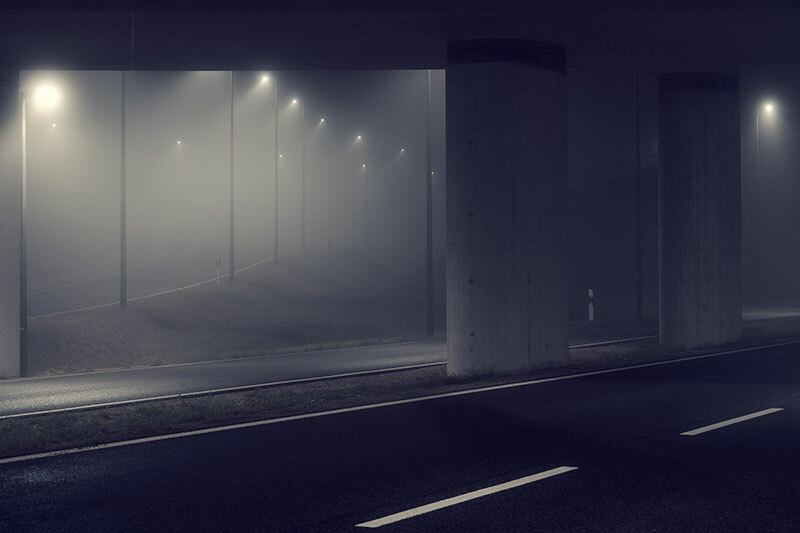 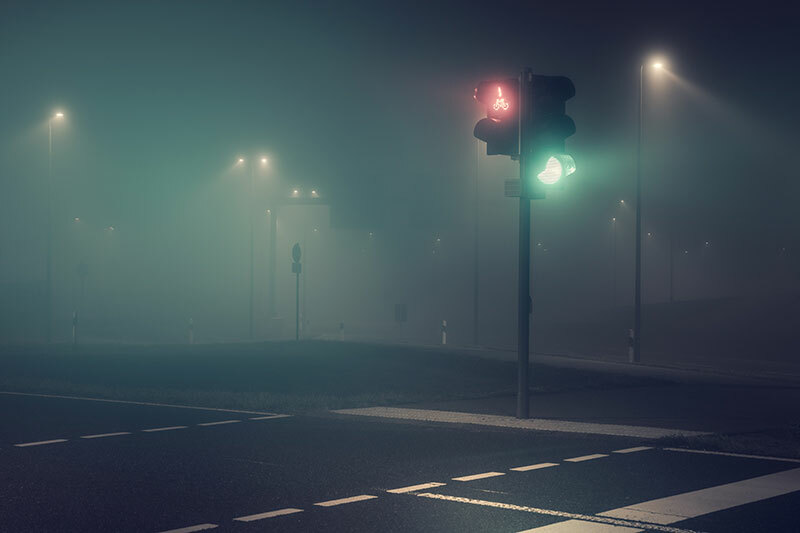 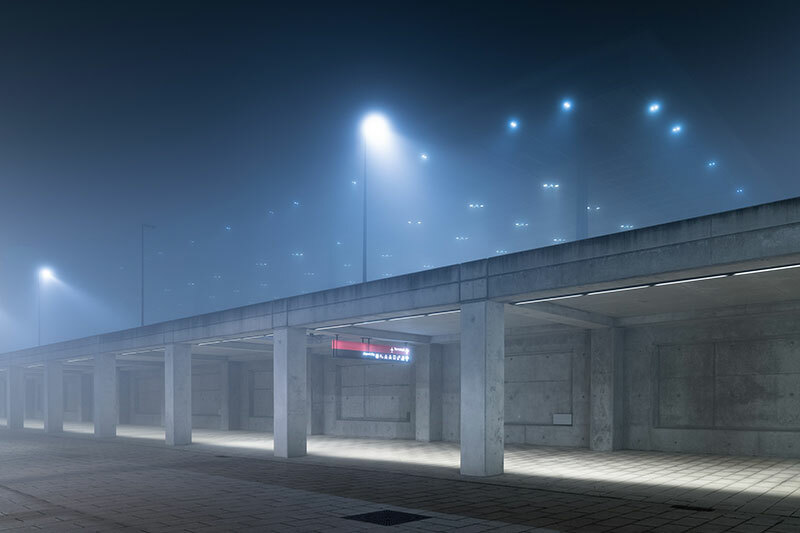 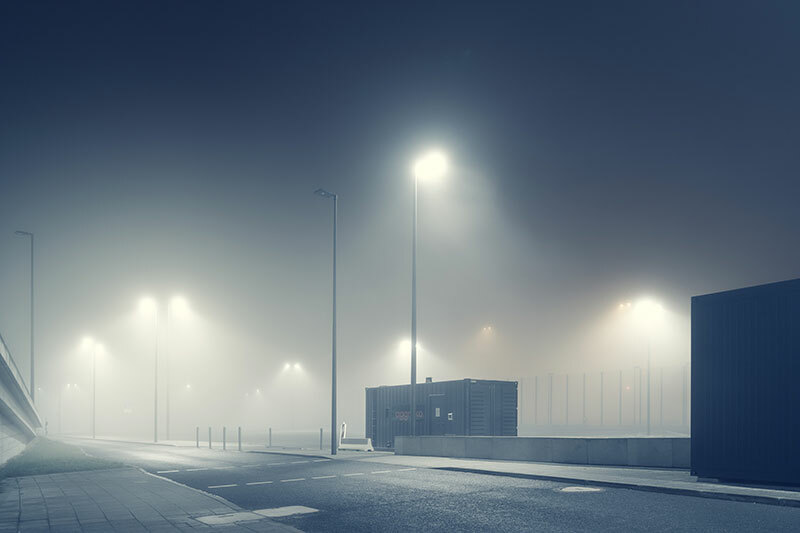 Potsdam-based photographer Andreas Levers continues his series of fog-covered urban landscapes shot at night, this time while wandering around Berlin airport. 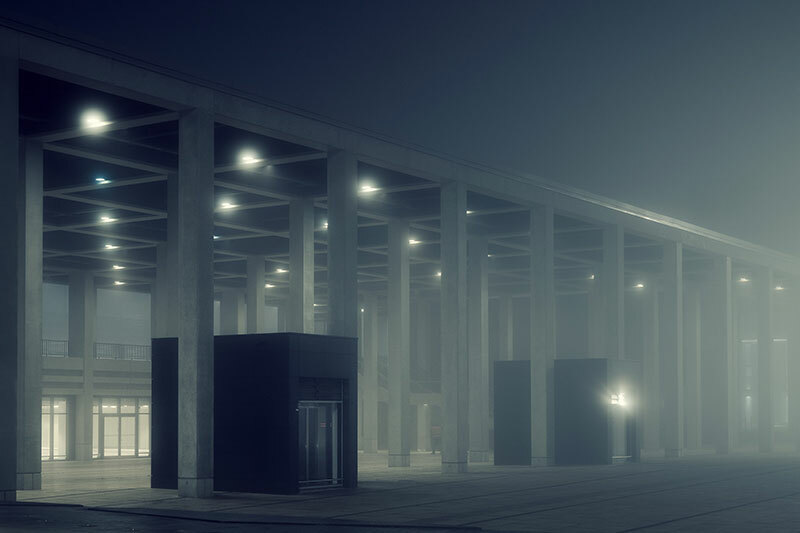 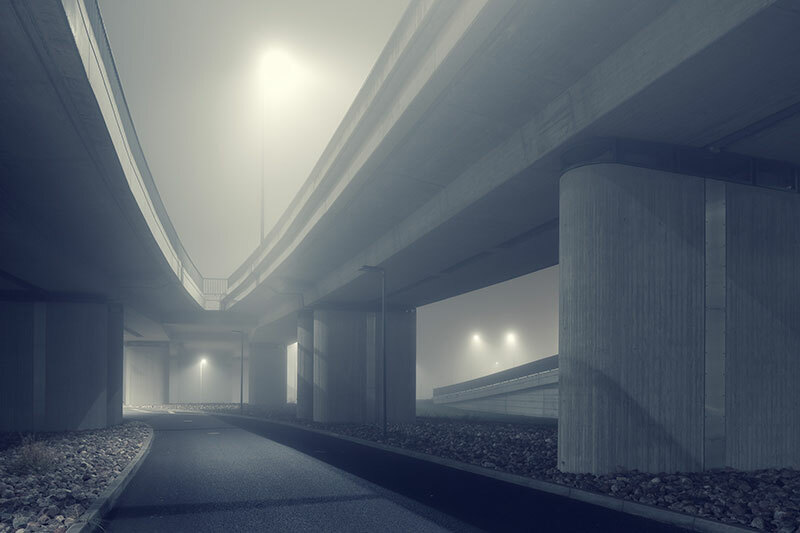 The series, which he started in 2013, focuses on artificial light in planned landscapes but the fog sort of adds a mysterious, almost otherworldly effect. 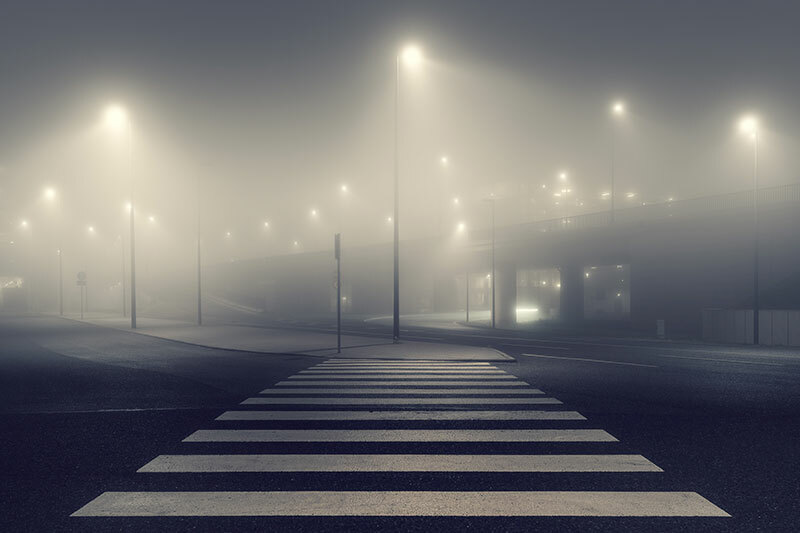 He often roams the city at night on his own to take these photographs. 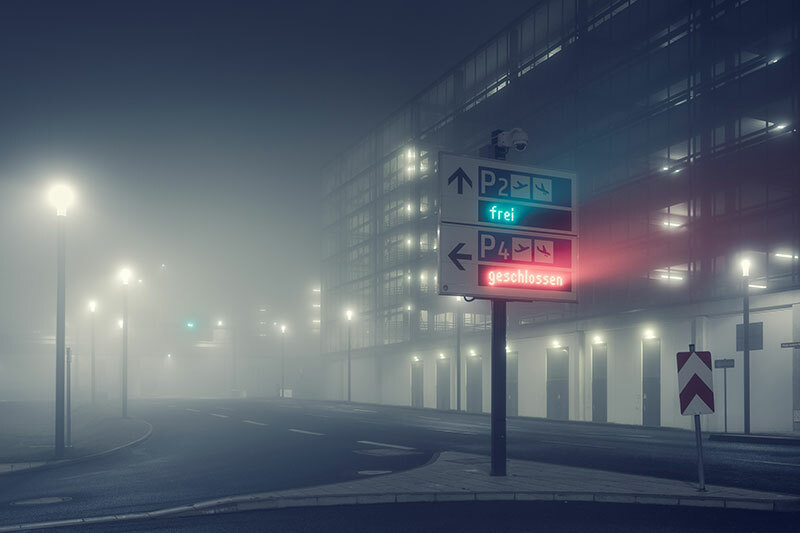 Potsdam-based photographer Andreas Levers continues his series of fog-covered urban landscapes shot at night, this time while wandering around Berlin airport.